If you want to know how the job market is doing, turn to Twitter. 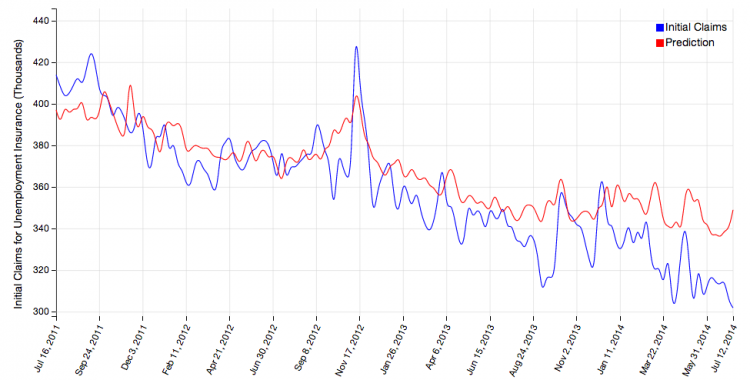 Researchers have begun tracking tweets about unemployment to get a sense of hiring trends. After collecting and vetting data on keywords such as unemployed, downsized, and outsourced, the University of Michigan’s Social Media Job Less Index projects the number of people who will be making first-time unemployment claims that week. By following tweets related to job search and job loss, the index provides a real-time look at the labor market, and instantly shows the impact of news and weather events, such as major hurricanes, on employment. The index is updated on Saturdays—and so far, it seems a pretty reliable indictor of actual claims reported by the government.